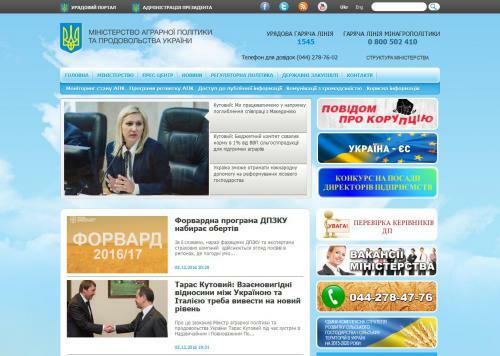 Official Web-server of the Ministry of Agrarian Policy and Food of Ukraine. The structure of the Ministry of agriculture, agro-Ukrainian Exchange, information on the prices of agricultural products in different regions of Ukraine. Analytical projects, surveys and forecasts, market analysis and market conditions. Investment projects. Livestock Ukraine. Foreign exchange markets, the hryvnia, the results of trading on agricultural markets of Ukraine. Logistical support to agriculture. Major events and the comments associated with the problems of AIC. Press releases.